It has been a few days since my last post. Sorry about that. I see interest in my Chuck Box is very high. I will get a part 2 to the Chuck Box posted very soon. Thanks for the interest. Now, something I have been toying with, in mind at least. A battlefield texting device. With the current popularity of texting and the attention that has been focused on the negative aspects - such as texting while driving. I felt we should look for a positive aspect of a mobile texting device. To which, I believe a battlefield use of this technology would be warranted. 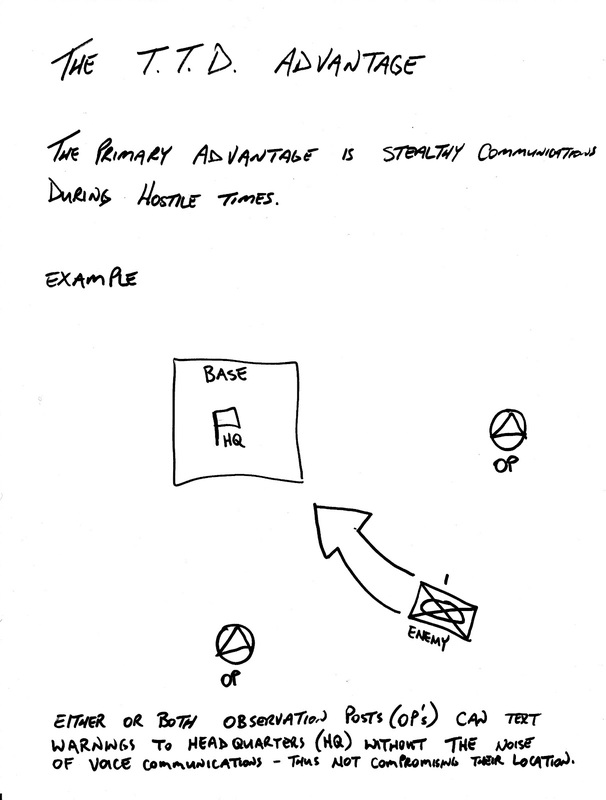 If you have ever had to perform OP (Observation Post) duty, with an enemy close by you know what I am talking about. You need to warn the CP (Command Post), however, the enemy is so close even whispering may expose your position. And you are out numbered and surrounded. What if, you could send that critical information to the CP without fear of compromising your location. Even better, you could deliver a running update of the enemy progress?? Sounds good, doesn't it. Even with off-the-shelf technology, you should be able to assemble a Tactical Texting Device (TTD). You need a 4g type texting device with a keyboard. 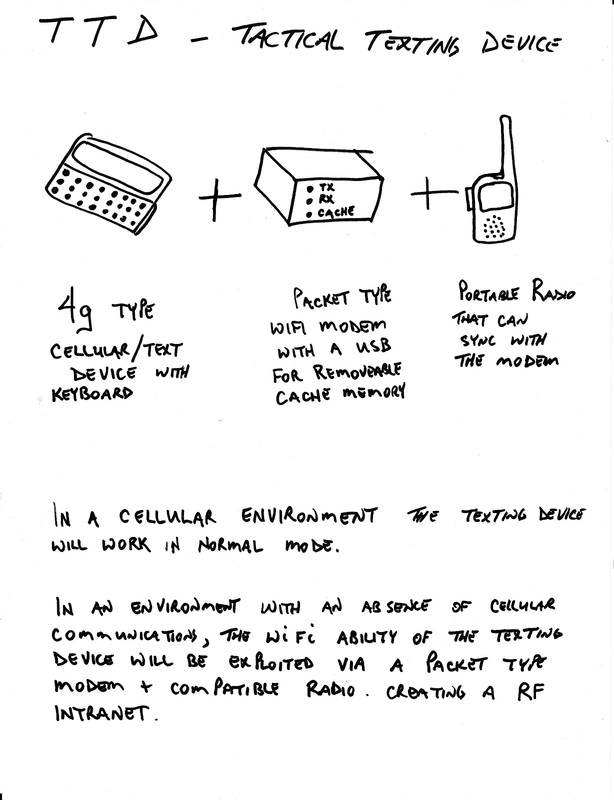 A WiFi packet type modem - that has a USB port to attach a memory device for caching messages. 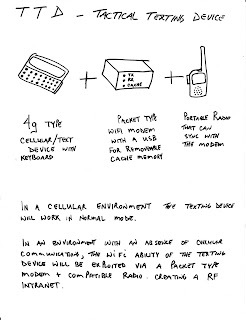 And a Portable or Vehicle 2-way radio that can be connected to the modem. I am not a techie, so this is just a concept from where I sit. A concept that should work with existing technology already out there. I just want to share this idea, so someone can take the idea and put it into practice. These devices are small and use very little power, so with the addition of a solar panel and a USB power cell, this concept should be field ready and self-sustaining. Use the solar system to recharge the 4g device, WiFi packet modem and the radio batteries. 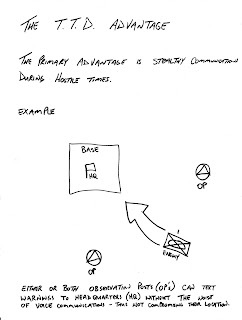 If you are setting up any type of bug-out location remember to maintain some type of communication with your OP's. They are your early warning system. If you can achieve this without sound all the better. Forget concept. Digital over radio communication is already happening. Remember receiving and having the ability to transmit information during a disaster or emergency is vital to your survival and success.